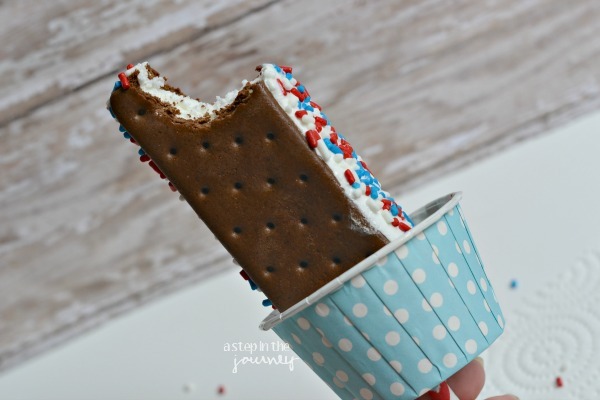 Easiest 4th of July Dessert EVER! At the beginning of each week, I always ask III if he has anything he wants me to pick up at the grocery store. Usually, he says no….but this week he had a response: ICE CREAM SANDWICHES. You might remember he is a fan from back when I made this Ice Cream Sandwich Cake. And now that summer is in full swing we needed them back in our freezer. 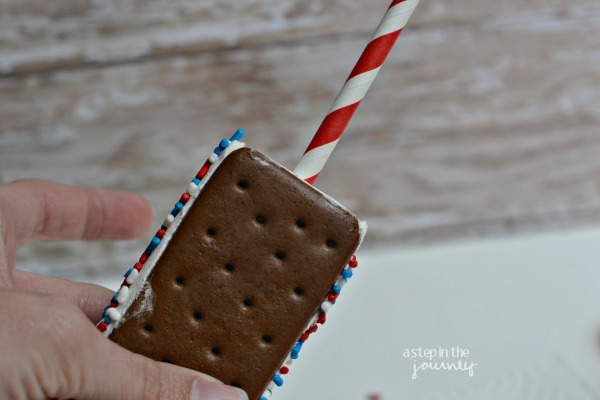 So I picked a few up along with some patriotic sprinkles to create this little treat. 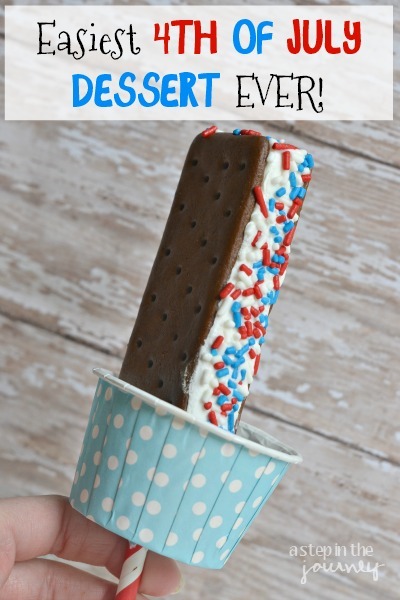 These treats are sooooo easy to create. 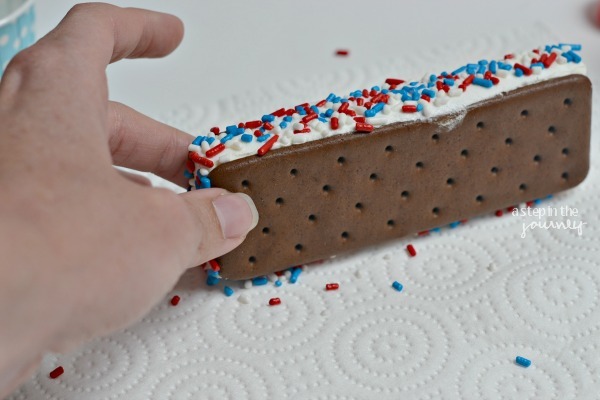 I first poured some sprinkles on a paper towel and simply pressed the ice cream sandwich into the sprinkles to make them stick. Now, what do you think most people would say is the biggest problem with ice cream sandwiches???? They are messy, right? We handed them out at small group the other night and one of the guys hand were covered in stickiness. That is when I thought to add the paper cup. These cute little paper cups are from Pick Your Plum, but you could just as well use cupcake liners. I poked a hole in the bottom and slide the straw through! Enjoy! You can see I already did. oh my thats genius! totally doing that for popsicles too!